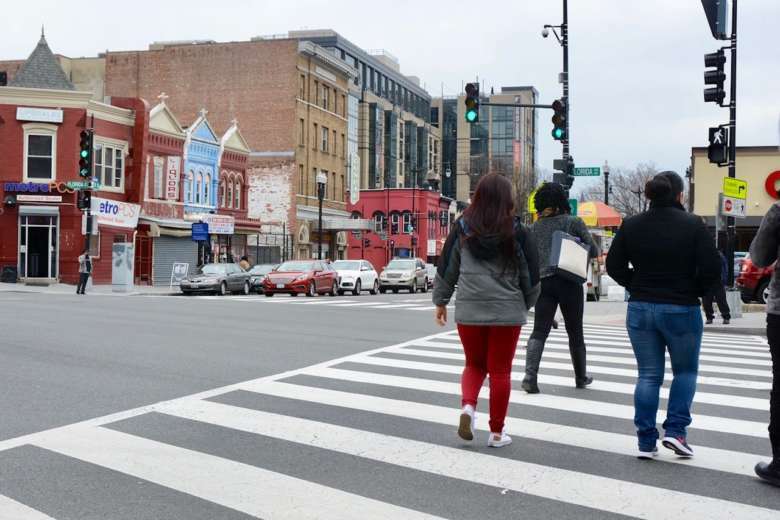 WASHINGTON — D.C. residents and officials envision a time when the number of pedestrian deaths falls to zero, but with several recent fatal collisions, many are beginning to question why progress has been so slow. At a joint public roundtable Thursday, D.C. council members, advocates for pedestrian safety and victims of crashes criticized the District Department of Transportation and law enforcement officials, accusing them of endless studies, patchy infrastructure upgrades and a lack of traffic enforcement. In 2016, the District launched its “Vision Zero” plan, with the ambitious goal of eliminating traffic fatalities and serious injuries by 2024. The action plan called for improvements to engineering and infrastructure, upgrades to road infrastructure and a data-driven assessment of crash-prone areas. Council member Charles Allen, D-Ward 6, questioned whether the strategies being used to reduce deaths are being properly implemented. “We are not living in a vision zero world — we aren’t even trending in the right direction, and I’d argue that we aren’t anywhere close,” Allen said. Allen and other council members, while praising the expertise of individuals within DDOT, criticized the agency’s slow progress toward implementing traffic-calming measures and changes that make streets safer. “Where is the urgency to fix dangerous intersections and curbing dangerous driving before someone is killed?” Allen said. Council member David Grosso, I-At Large, agreed that progress to improve infrastructure has stalled and that more needs to be done to separate road users. “In the past three years, there has been little visible progress beyond media events and pop-ups. I’m also dismayed to see that it takes months or years of pressure by the council, by advocates, by others to perform simple fixes to existing bike lanes and sidewalks,” Grosso said. Grosso pointed out that it often takes a death before any changes occur. D.C.’s police department lacks a dedicated traffic enforcement unit, and several council members said that precariously and carelessly parked cars are a recurring hazard for cyclists. “When bicycle lanes are illegally blocked by parked or idling vehicles, whether they be government vehicles, delivery trucks, ride shares or personal vehicles, cyclists are forced to swerve into traffic, endangering the cyclists and drivers alike,” said Council member Brandon Todd, D-Ward 4. Advocates for pedestrian safety contested that D.C. officials routinely prioritize drivers over those who opt for other modes of transportation. “You may not state it publicly, but your actions as a council and as a city demonstrate that your allegiance is to that constituency, not to the people who walk, bike or take transit on the roads that you control,” said Alex Baca, engagement director for the Coalition for Smarter Growth. Baca and other speakers argued that the “Vision Zero” tactic of enforcement and education through ticketing and fines doesn’t effectively curb dangerous driving behavior. “You don’t change behavior by asking everyone to be nice to each other,” Baca said. The city has recently proposed legislation that would raise the fines for more than a dozen traffic infractions and create new moving violations that target reckless drivers. The proposed bill would also lower the speed limit to 15 mph on all roadways adjacent to school facilities and grounds serving youth. “There is not a shred of empirical evidence that proves that higher traffic fines deter bad driving behavior. This is about generating revenue under the patina of traffic safety, and to make matters worse, city officials are wittingly or unwittingly doing this at the behest of the city’s speed camera vendor who urges communities to make traffic safety cameras the technological centerpiece of any Vision Zero initiative,” said AAA Mid-Atlantic spokesperson John Townsend. The meeting was organized following the deaths of 19-year-old Malik Habib and 26-year-old Jeffrey Hammond Long earlier this summer. Those speaking in front of the Committee on Transportation and Environment and the Committee on Judiciary and Public Safety expressed their frustration that several more people have been killed in the months since. Three people have died while on D.C. streets in September alone: one was walking, one was biking and the third was on a scooter. In her opening remarks, Council member Mary Cheh, D-Ward 3, pointed out that the recent deaths are not just about numbers. “These deaths remind us that we’re not just talking about statistics but real lives of individuals with families, friends and co-workers, and they demonstrate in a dramatically sad fashion how important the success of Vision Zero is for our community,” Cheh said. Editor’s Note: A previous version of the article misstated Councilmember Allen’s chairmanship role; he is chair of the Committee on the Judiciary and Public Safety.